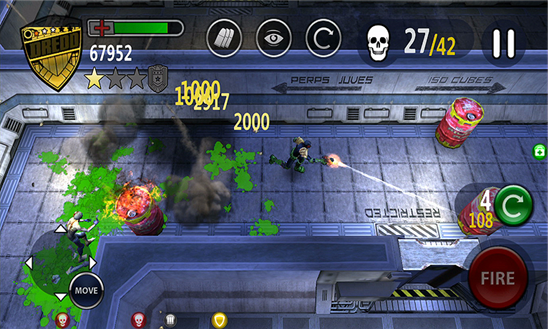 With "Dredd vs Zombies" game for Nokia Lumia with Windows Phone 8, you must Fight, Protect and save your city from zombies invasion. 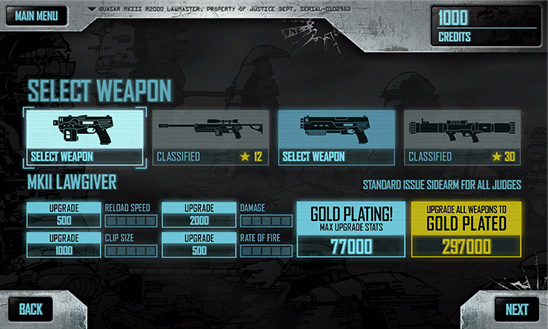 Choose and use your weapons and then earn some points and stars to upgrade your weapons, ammo, etc. 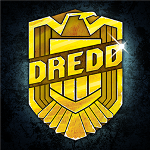 "You must protect Mega-City One from a zombie invasion! Arm yourself with a Lawgiver pistol and three other devastating, upgradable weapons. 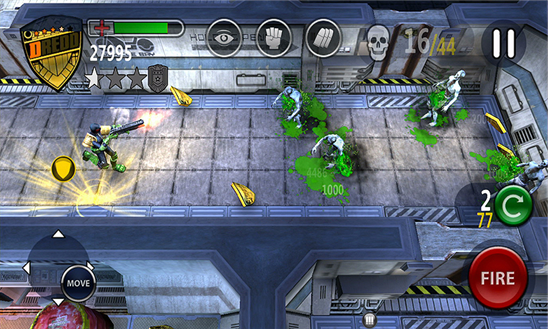 Fight four deadly zombie archetypes in thirty levels of game play. 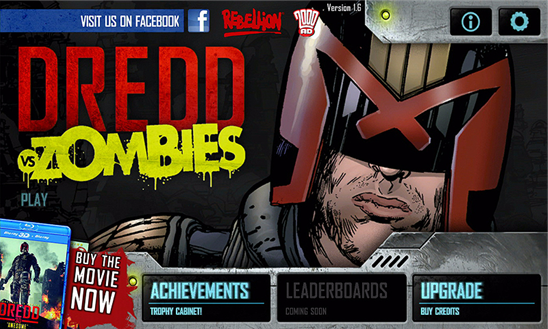 Choose from seven special upgrades to give you an edge over your undead foe! "